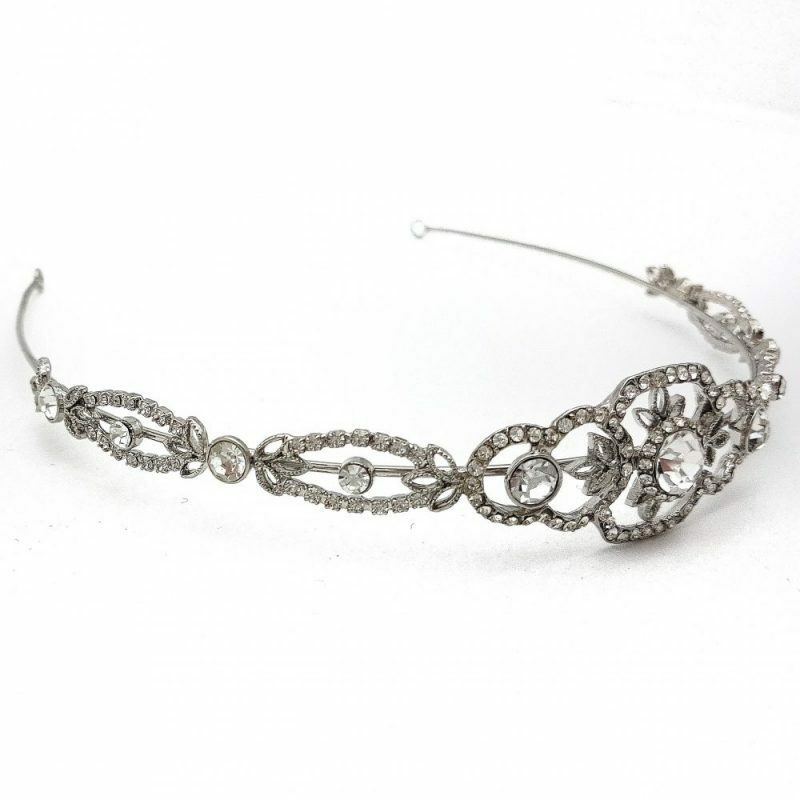 Gorgeous silver crown with delicate crystal detailing. 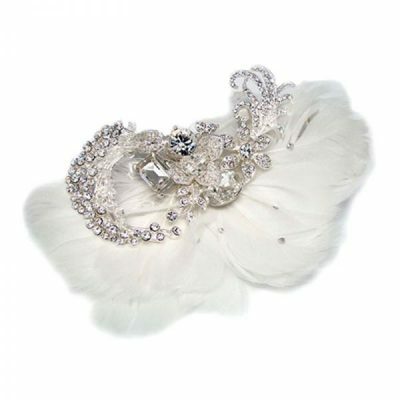 Beautiful and elegant for the modern bride. 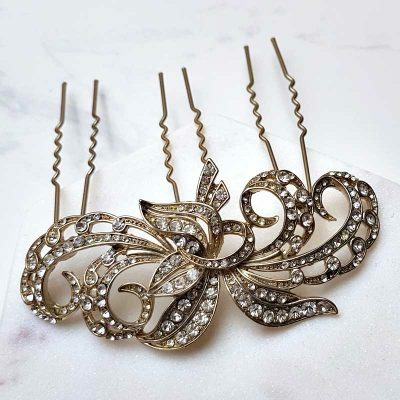 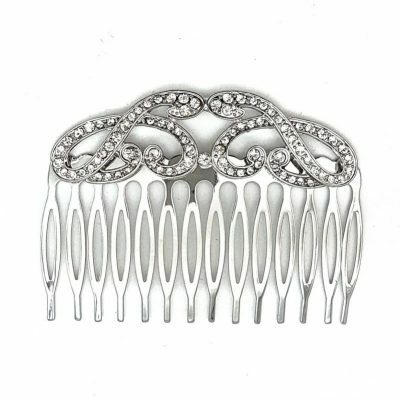 This tiara is versatile enough to be worn as a headband also, depending on the hair style. 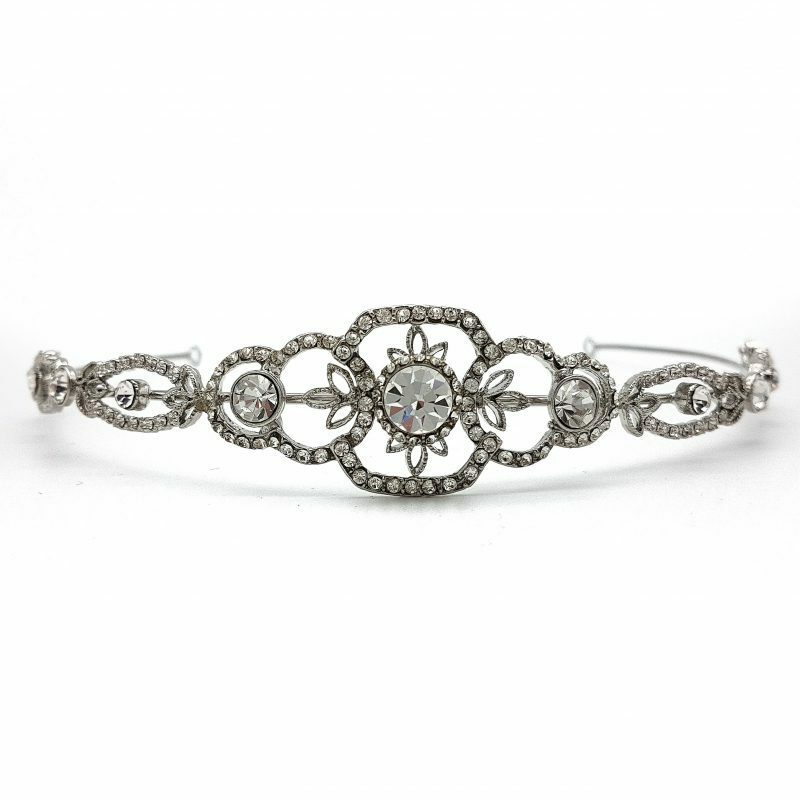 Available in rhodium silver.